Foster water conservation through public and private education initiatives to reduce stress on Israel’s lakes, rivers and aquifers, and demand for energy-intensive desalinized water. Work proactively to adopt strict fuel-economy and vehicle-emissions standards; support the adoption and enforcement of strict industrial air-quality standards; increase the availability and use of public transportation; require that all official vehicles driven by Jewish Agency and Keren Kayemet L’Yisrael / Jewish National Fund (KKL-JNF) workers meet tough emission standards. Garner support for the initiation of solar-energy projects and other alternative energy sources to relieve Israel’s dependency on foreign coal and natural gas. Encourage energy conservation and green urban planning. Create an open forum for decision-making regarding forestry management and ecological initiatives. 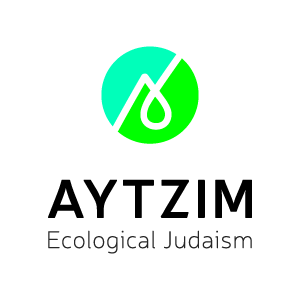 Encourage the WZO and KKL-JNF to invest in new technologies that will help Israel's environment — such as clean-energy technologies and water-saving technologies — and to embrace environmentally minded planning, such as the implementation of construction-reuse centers and the innovation of urban vertical farming. We will work with under-represented communities, including those in the geographic peripheries, the inner cities, Israeli Arabs and Israeli Bedouin to find solutions to their environmental concerns. Environmental issues are not confined to political or social borders. We support inter-governmental initiatives and collaborations that are essential in solving regional environmental and social concerns.